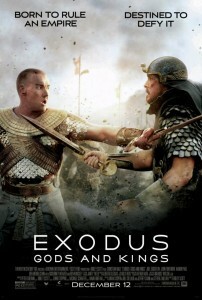 Podcast Live @ Hales Exodus: Gods and Kings – How Popular Culture Interprets the Bible. The Bible has long been a source for fueling the cultural imagination. With the release of "Exodus: Gods and Kings" and more biblical epics in the works for 2015 what does this renewed interest in the Bible say about our culture and what people are drawing from these texts? This episode of The Kindlings Muse reviews the film as well as discusses other biblical interpretations in popular culture. Listen to this discussion with host Dr. Jeff Keuss and panelists Jeffrey Overstreet film critic and author of Through a Screen Darkly, Jennie Spohr, author of Heirs & Spares and God & King, and Kindlings Muse producer, Anna Miller.